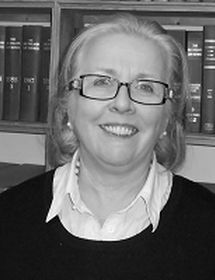 Since June 2009 Mary has represented over 500 lay clients, as defence counsel, in Magistrates and Crown court, advising on plea and / or mode of trial, possible sentence, & where appropriate, preparing for and representing defendants at summary or crown court trials which included performing section 6(1) and 6(2) committals, plea and case management hearings. In Magistrates Courts she has successfully run exceptional hardship and avoided discretionary driving bans & special reasons in cases of driving whilst unfit & avoided mandatory driving ban. In civil matters she has successfully opposed setting aside default judgments as well as having appeal granted on prior refusal to have default judgement set aside. She has also responded to case statements, prepared for and conducted trial. Commenced process of pre-action protocols for processing claims in disease & illness. Having been called to the Bar in 2008 Mary brought with her a wealth of experience from her previous career. As leader and senior operational manager of women’s services at an NHS Hospital Trust between 1993 and 2002. Mary was responsible for crucial and much needed organisational change in the structure of maternity/women’s services at every level from finance to policy and delivery of integrated care. In Management she was responsible for the design and implementation of reforms under major budgets to improve service across the board. That experience has assisted her rapid career progression and Mary now deals with serious cases in both areas of practice. Since medical evidence is a regular feature in criminal cases, it puts her at a distinct advantage in interpreting, utilising and challenging medical evidence.